Finding the perfect orthodontist is crucial to making your treatment as enjoyable as possible for you, but how do you do that? What should you look for in an orthodontist? What qualities and characteristics make for a good orthodontist? There are number of things you should keep an eye out for while looking for the perfect fit for you. Each quality is very important, so when you go in for an initial consult, make note of things that you like and don’t like while you’re there. One very important quality that makes a great orthodontist is their level of education in the field. Obviously you want whoever is taking care of your treatment to be very knowledgeable, and the same goes for the staff they have working for them. You expect your treatment to be done safely, and the best way to ensure that is to make sure everyone is qualified. You should feel comfortable when you walk into the office for an appointment. The orthodontist should answer all of your questions fully and do their best to make sure you completely understand everything. They should be kind and welcoming, as should the rest of the staff. Feeling comfortable during your treatment is going to go a long way in your overall satisfaction with your journey to a beautiful smile! Additionally, the orthodontist and staff should be passionate about what they do. If they are passionate, they will have a positive attitude about what they do, they’ll be friendly, and they will have high energy levels – all things that contribute to an enjoyable environment. Did you look at the reviews for the orthodontic office before visiting? If so, what were they like? Were they positive? You obviously want the reviews to reflect positively on the business, and reading these is a great way to get a feel for what the environment is like in the office. If you haven’t read any, make sure to do so as soon as you can! Orthodontic practices have changed over the years, and they should continue to evolve. A good orthodontist will keep up with the ever-changing technology to ensure maximum comfort and efficiency for their patients. If you visit an office and their practices are outdated, you might want to consider looking elsewhere. Your experience is only going to be better with the most recent technological options available. One additional, very important characteristic to look for while on the hunt for the perfect orthodontist is a clean facility. If you walk in the office feels dirt or looks disorderly, that’s not a good sign. You should also make sure all of the tools being used for you are clean and new. An orthodontic office should always be clean and up-to-date. A dirty workspace could result in bacteria, and that’s definitely not something you would want around while someone is working in your mouth. You want that perfect, healthy smile, and your journey there should be as smooth and enjoyable as possible. Finding the right orthodontist for you is important, and even if it takes a few tries, you won’t regret spending a little more time finding the perfect fit! Here at Milnor Orthodontics, we will strive to ensure you are fully satisfied with your experience. Goldilocks didn’t settle for a less-than-perfect fit, and neither should you! 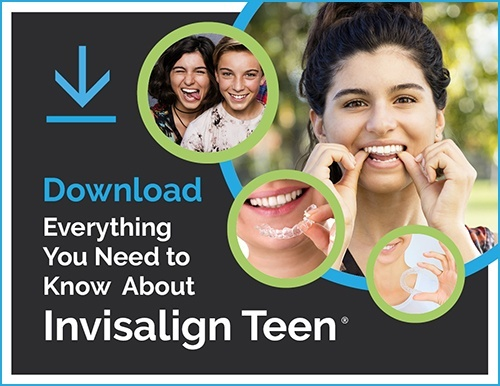 Which Invisalign product matches your personality? At Milnor Orthodontics, our experts are here to help you achieve a priceless smile. Call our office at (970) 230-3187 or visit www.milnororthodontics.com to learn more. We’re located at 1103 S. Shields St. in Fort Collins, Colorado. Celebrate Spring with These Delicious Recipes from Our Staff! © 2018 Milnor Orthodontics. All rights reserved. Do not duplicate without permission.